Russian President Vladimir Putin and US President Barack Obama have discussed the situation in Syria and Ukraine in an informal meeting on the sidelines of the G20 summit in Turkey. According to the Kremlin's envoy to the G20, Svetlana Lukash, the informal meeting between Putin and Obama lasted for more than 30 minutes. "Strategic objectives relating to the fight against the Islamic State are, in principle, very similar (between Russia and the US), but there are differences on the tactics side," Ushakov was quoted as saying. A White House official told Reuters that "President Obama and President Putin agreed on the need for a Syrian-led and Syrian-owned political transition, which would be proceeded by UN-mediated negotiations between the Syrian opposition and regime as well a ceasefire." 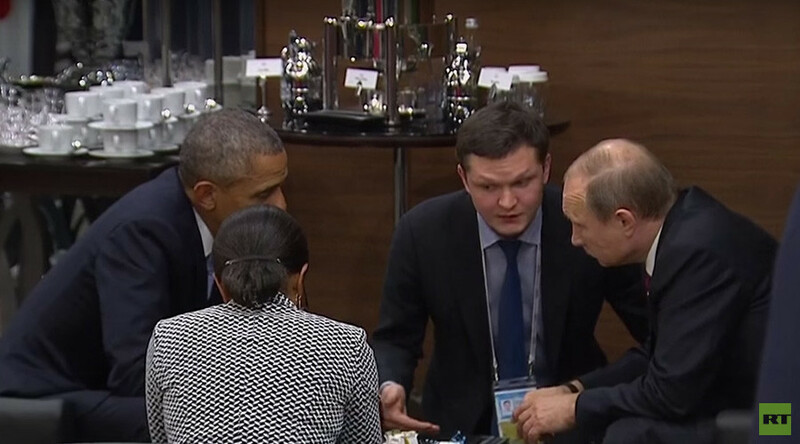 The official added that Obama reiterated support for the Minsk agreement in Ukraine. The two-day summit that started on Sunday has taken on a new urgency, in view of the Paris attacks in which 129 people died pushing the fight against terrorism to the top of the agenda.